Families met Father Christmas and raised £4,625 for East Anglian Air Ambulance as part of the Winter in the Woods weekend at Kelling Heath Holiday Park. 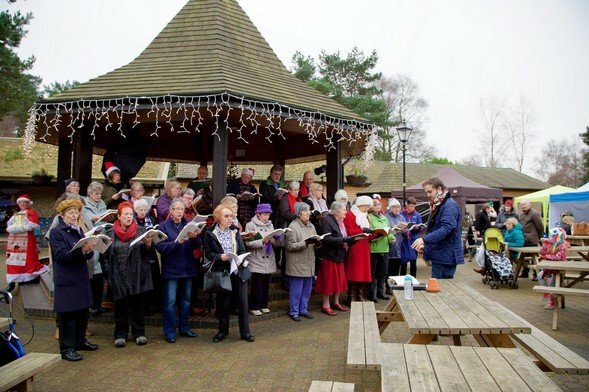 More than 650 people visited Santa’s grotto as part of the festive event, which also featured Elf Trail walks, carol singers and a Christmas market with plenty of mince pies and mulled wine. All proceeds from the weekend are being donated to East Anglian Air Ambulance, which was unveiled as the holiday park’s charity partner earlier this year.